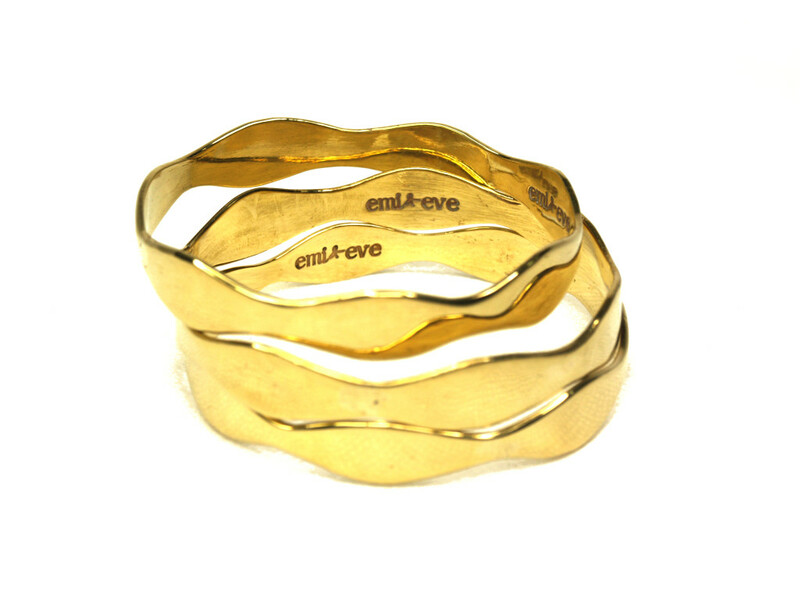 The Peace Bracelet is the first ever Emi & Eve product that we made and for a while, it has become the most popular item. Back in December 2012 founder Cassandra Postema made the leap to take some designs to an artisan she had met a few months before in Phnomh Penh, who uses bombshell brass to make jewellery. While it was still on the workbench, she posted the finished piece on Facebook and received so many likes and comments that she knew she was onto a good thing. 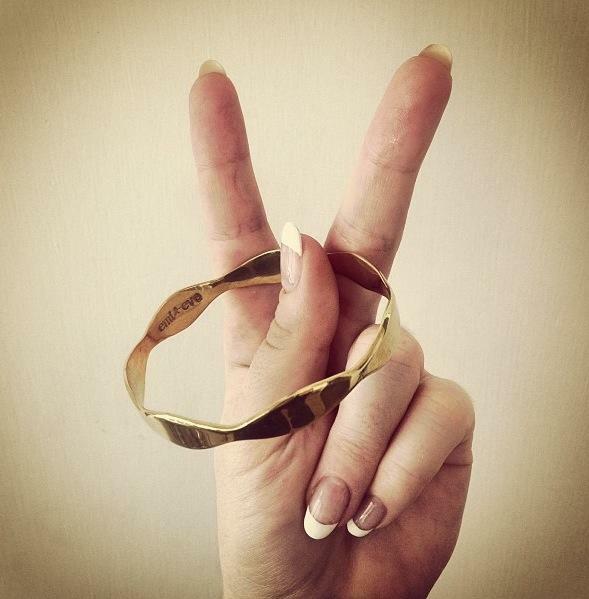 The Peace bracelet was our first and most iconic design for 2 years running.